Twitter has released an update for their mobile android app that increases the security of the app by using its 2 step verification. 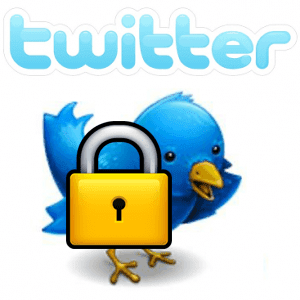 This is how twitter is trying to protect their users from being hacked and to crack down on hacked accounts. This new update is going to be very similar to the update that Facebook implemented some time ago which was a huge success as far as added security, and there are millions of people that are using the additional feature which had increased their accounts security greatly. As for the twitter variation you should see something like Google where they text you the code or you will use the Google Authenticator. Adding this feature will make your account more secure and nearly in hackable.Some people will try to argue that they don’t want to waste the time by typing in a code everytime and therefore they refuse to add the extra layer of security. Well they have done something really smart and this they have the ability to recognize devices that you have logged in on and then corn require that code again. If it is something like Google then on your computer it will require a new code only when you wipe the cookies because that is how they track the device. So even if your computer changes its IP address then all that the site has to do is look at the cookies, and it will recognize the new IP address. So then the logical choice is for you to add this feature and reduce the chance of your twitter account being hacked.